Union City Police Department , with the approval of Police Chief Richard Molinari, will be wearing pink mourning bands or pink breast cancer pins to show support and awareness for breast cancer during the month of October. The police union will be selling these items for $5 a piece with all proceeds going to The Breast Cancer Society. Their goal is to raise $1000. Pins and mourning bands were donated by State Delegate Chris Scardino and Sgt. Steven Matulewicz. 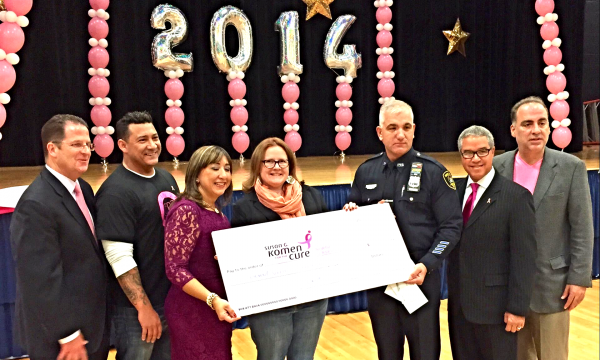 UPDATE: Union City Police Department raised $1,768.00 for Breast Cancer Awareness, almost double their goal!